Williamsburgh Brick and Tile Works, Paisley, Renfrewshire. 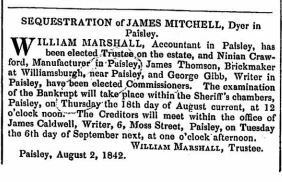 Below – 02/08/1842 – Edinburgh Gazette – Sequestration where James Thomson acted as a Commissioner. 29/01/1846 – Stirling Observer – Wanted – A person to undertake the burning of brick. To one fully qualified, a liberal wage will be given. None need apply who cannot produce satisfactory reference as to sobriety and ability. Apply (if by letter post paid) 24, Williamsburgh, Paisley. 27/01/1846. 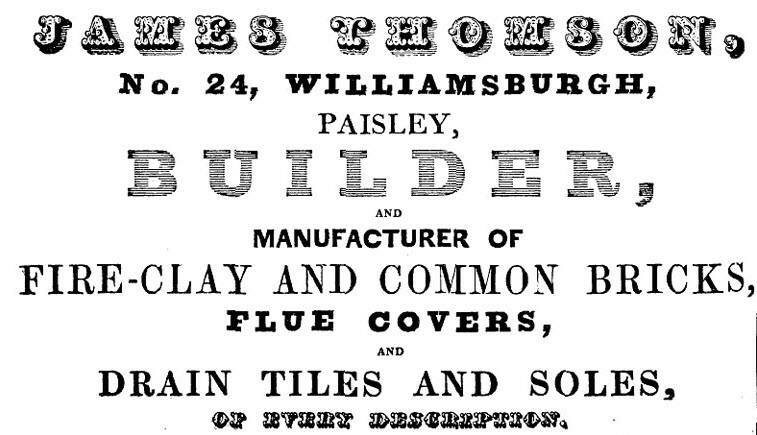 04/01/1853 – Edinburgh Gazette -Reference to John Thomson, brick and tile maker, Paisley acting as one of the commissioners for the sequestrated Estate of John Heiton, Wright, Paisley. 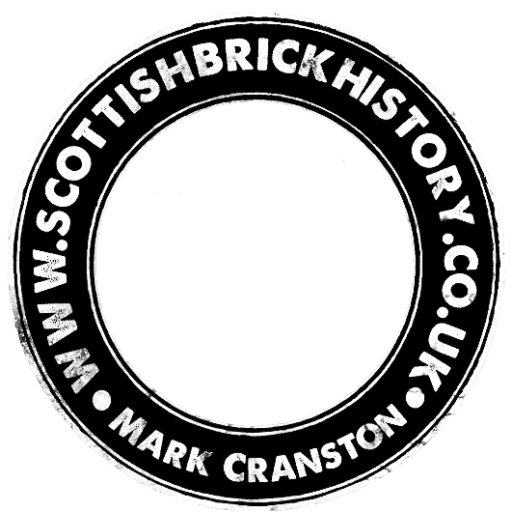 29/03/1855 – Caledonian Mercury – Under sequestration – J & J Thomson, brick layers and brick manufacturers, Paisley and John Thomson and James Thomson, brick layers and brick manufacturers in Paisley as a company and as individuals. 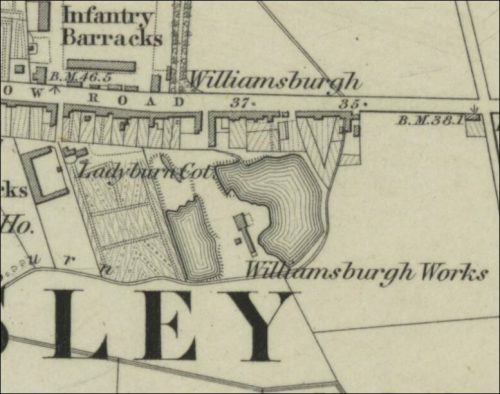 Below – 1858 – Williamsburgh Works – possibly the brick and tile works.